We recently reported on an indictment handed down by a Kansas City grand jury last week, accusing the owners and operators of a nearby water park of building a blatantly dangerous ride on a whim, failing to adequately maintain it, and then attempting to cover the whole thing up after a child was killed while riding it. The 20-count indictment of Schlitterbahn co-owner Jeffrey Henry, his long-time friend (and reportedly unqualified ride designer) John Schooley, and park manager Tyler Miles puts together a fairly damning argument against the three men, up-to-and-including a charge of involuntary manslaughter for the death of a 10-year-old boy who rode the park’s Verrückt water raft ride in 2016. Now, authorities have acted on those charges, with police in Texas arresting Henry for his alleged part in the child’s death. The accusation that we withheld information or altered evidence is completely false. We have operated with integrity from day one at the water park—as we do throughout our water parks and resorts. We put our guests and employees safety first; and safety and maintenance are at the top of our list of priorities. The park manager, Miles—who’s been accused of forcing employees to rewrite Verrückt-related injury reports in the months leading up to the fatal action, and of using the company’s lawyers to pressure teenage ride operators to stay quiet—has defended his own conduct and his belief in the safety of the ride. 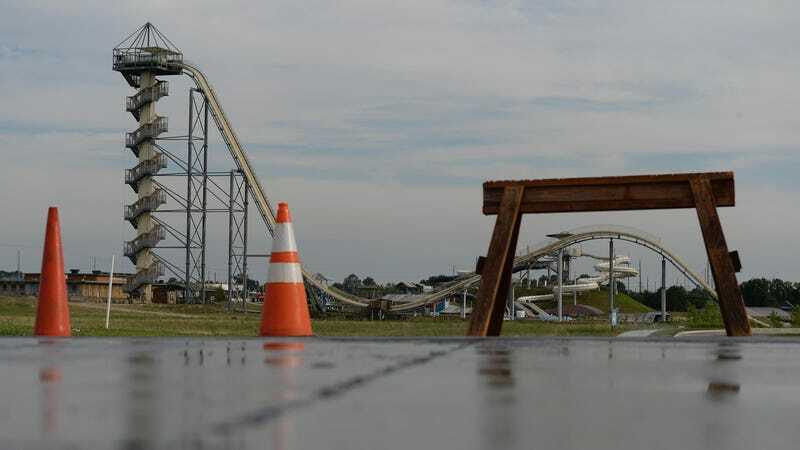 His lawyer noted in a recent statement that he’d put his own family on the ride several times, and that his wife was scheduled to ride Verrückt on the day the incident occurred.